Craig Coombs, Dr. Steve Minaglia and Dr. Scott Harvey completed their second channel in Hawaii yesterday as they crossed the 9.3-mile Kalohi Channel between the islands of Molokai and Lanai. Craig Coombs finished in 6 hours 6 minutes while Doctors Minaglia and Harvey crossed in 5 hours 48 minutes after their February conquest of the 8.4-mile Pailolo Channel. 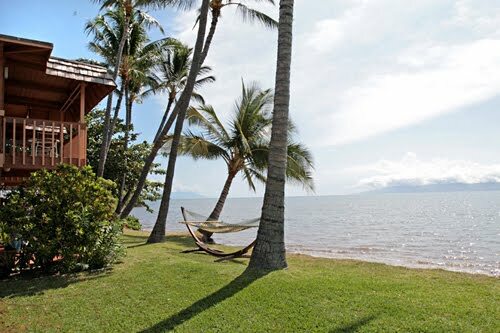 Photo courtesy of Hotel Moloka'i of the Kalohi Channel.